Following a request by the Minister for Transport and Infrastructure, Transport Malta in conjunction with Kummisjoni Nazzjonali Persuni B'Disabilta (KNPD) organised a trial of different types of motorised wheelchairs and mobility scooters at the Sonia Tanti Independent Living Centre in Hal Far to see whether these wheelchairs and scooters can manoeuvre safely on and around the buses. This followed a misunderstanding that occurred last week when a person using a small mobility scooter was not allowed to board a bus. Two low floor buses were provided by Malta Public Transport including a 9m King Long bus which has been in service for the last four years, and one of the 10 newly arrived Mercedes Citaro 12m buses which were put into service last week. It is to be noted that there are different types of motorised wheelchairs and mobility scooters. Typically, motorised wheelchairs which are similar to regular wheelchairs, can easily manoeuvre on and around these buses particularly because they can turn around their own axis. This was in fact confirmed in today's trial by an experienced user. On the other hand, mobility scooters which are typically longer than motorised wheelchairs, and with a longer wheelbase, are not able to manoeuvre safely around the bus and therefore cannot be used on board buses. There are however some smaller mobility scooters including some with three wheels, which can actually manoeuvre safely, and in fact, according to their users, have been used on board buses for quite some time in Malta. Transport and KNPD announced that a set of guidelines will be prepared to distinguish between those mobility scooters that are suitable and safe to be used on the bus, and others that unfortunately cannot be used on the bus due to their size limitations and lack of manoeuvrability. The aim is to continue to allow users of wheelchairs and scooters that have always been allowed to be used on the bus. Specialised identification stickers will be made available by Transport Malta to be put on these scooters so that they are easily identifiable by bus drivers to avoid any future misunderstandings and safety hazards for their users and other passengers. 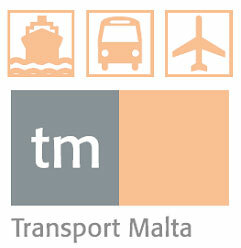 Transport Malta is committed to promote accessibility and mobility, and will be working very closely with KNPD to provide all the information necessary to users of motorised wheelchair and mobility scooters, and to the bus drivers.